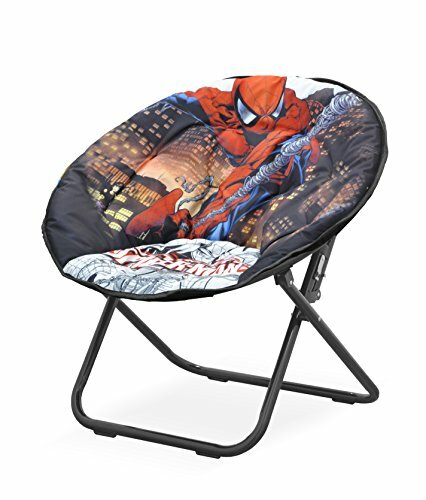 Great for bedrooms, playrooms or anywhere you need a versatile seat, this Marvel Spider-Man saucer chair is a perfect choice for kids and tweens. The soft, luxurious micro-suede will provide hours of comfort, while the polyester upholstery and rugged steel frame make it durable and easy to clean. PLUS, it folds up for easy storage and transport. Durable steel frame with soft, cushioned Polyester filling.